Come along to one of our events! Come along to one of our monthly Family Ceilidhs running from October to March. Virginia Reel to car wash and Strip the Willow to Born Slippy: this is a ceilidh like no other! Bring your own Drinks and nibbles. Bring your friends, bring your kids! All run 630pm to 930pm. Come and celebrate the start of the ceilidh season with us, release the birler within. We’ll have a St Andrews theme tonight, so bring your tartan, your Tennants and your Haggis flavour crisps. Our Christmas Disco Ceilidh will be very popular so we’re holding it at St Silas church in Hillhead to accommodate more people. Come and dance to the best and cheesiest Christmas songs! A special Burns night ceilidh with special guests The Broomhill Ceilidh Band. We’ll start with a traditional ceilidh set then move onto some Disco Ceilidh. There will be an open mic slot at half time for some Burns poetry ! Last in the Disco Ceilidh season. A final fling in the run up to Spring. Join us on 21st March back at the fantastic venue of St Silas Church for great atmosphere, acoustics and lighting! 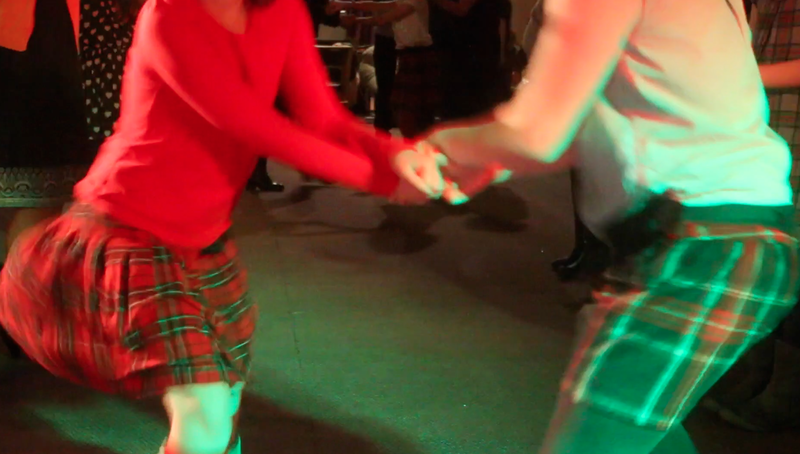 Here’s some footage from the last ceilidh we had there. So much fun. Virginia Reel to car wash and Strip the Willow to Born Slippy: this is a ceilidh like no other! After our fabulous Burns Night Ceilidh at the new venue of St Silas church we are back at Hyndland Community Hall for our February 21 Disco Ceilidh. Bring your own Drinks and nibbles. Bring your friends, bring your kids! We run 630pm to 930pm. It’s peak ceilidh season and we’ll be celebrating the Bard with a stoating night of ceilidh dancing. Sooooooo…… Don your tartan, bring your weans, pack the Haggis flavour crisps and a hip flask and get into the Burns Night groove. Hosted by Disco Ceilidh and with special guests The Broomhill Ceilidh Band, we’ll be starting out with all the traditional jugs and reels and finish up with a Disco Ceilidh Inferno. Bring your own drinks and fav snacks. We’ll have home baking, and some snacks and soft drinks on sale. Tickets in advance from ticketsource £7 adults £3 kids or on the door (£7.50/£3.50) Under 5s Free. Yay! Burns Night! And if you have a Burns poems or song you want to share, we’ll have an open mic at half time. Bring your friends too – here’s the link to the Facebook event if you want to share it! 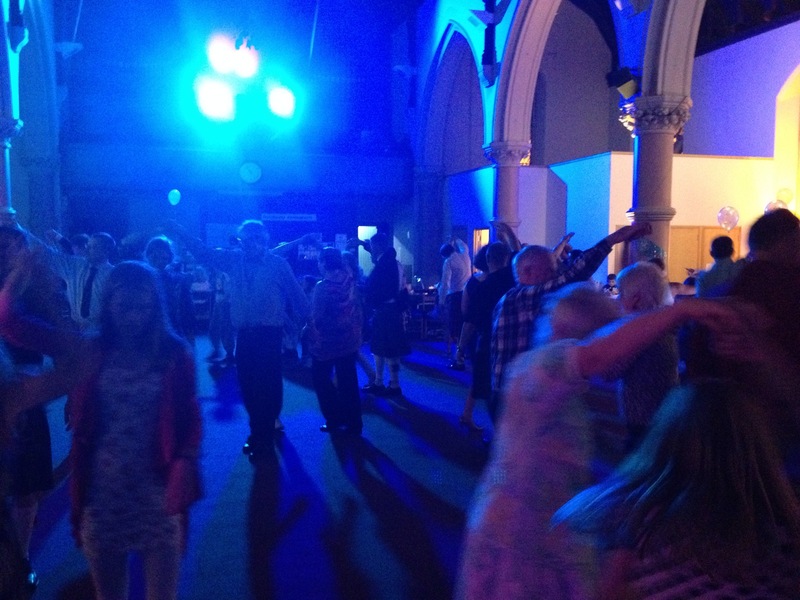 followed by Disco Ceilidh – setting traditional dances to your favourite tunes. Doors 6:30pm Music to start 7pm. Bring your own drinks and nibbles, bring your friends, bring your kids. We’ll provide the music and entertainment. Are you an international student and want to experience some ceilidh culture? 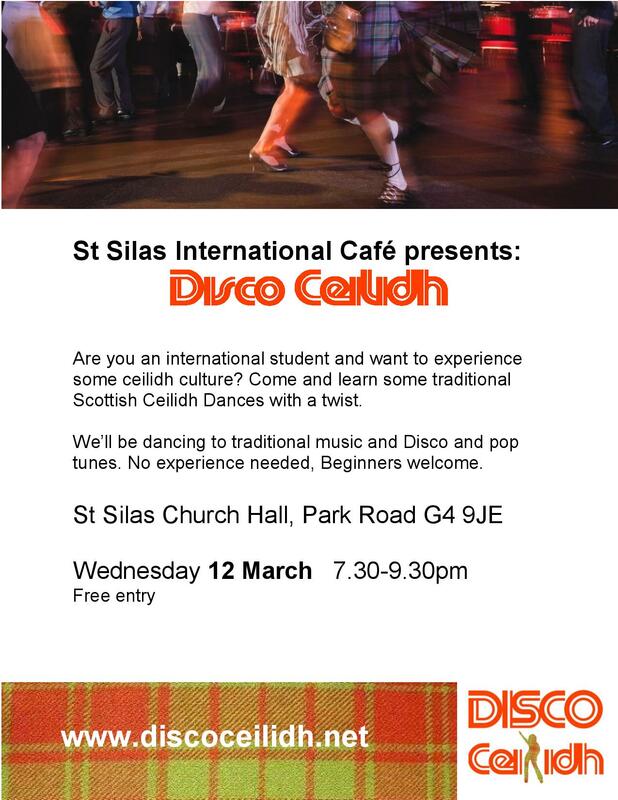 Disco Ceilidh will be at the St Silas International Cafe on 12th March. This event is for international students, but any ceilidh experts are also welcome to help out the beginners! Come and learn some traditional Scottish Ceilidh Dances with a twist. We’ll be dancing to traditional music and Disco and pop tunes. No experience needed, Beginners welcome. 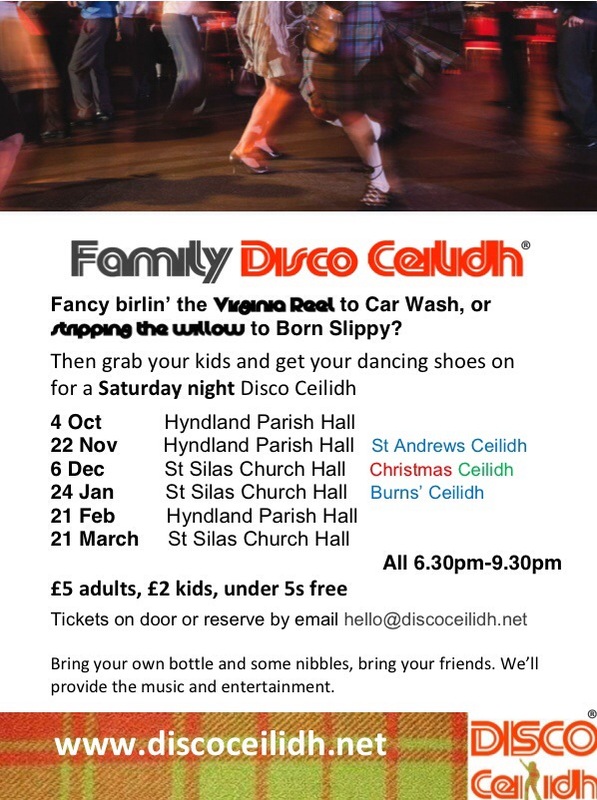 Come to Hyndland Parish Hall for a Disco Ceilidh party for everyone. Kids? no kids? still-feel-like-a-kid?